Auber Busoni Field Liszt Rameau Strauss J.S. Bach Byrd Gabrieli Lully Ravel Strauss R.
Born in Pesaro in Italy, Rossini was the only child of the town trumpeter. His mother was a singer, providing a useful source of income when his father was imprisoned for insubordination - which happened more than once. The family moved to Bologna when Rossini was 12, and the young boy contributed to the family finances by singing in churches until his voice broke, and then by playing the keyboard in the opera house. Even at this tender age Rossini could write down an aria after only two hearings, and in 1806 he went to study at the Bologna Academy. There he learned a great deal from studying scores by Mozart and Haydn, and wrote his first opera while still a student. Rossini was an amazingly prolific composer and had already composed nine operas before his reputation was established with performances in Venice in 1813 of Tancredi and L'Italiana in Algeri. The first is a setting of a play by Voltaire, and the second a comedy; both brimmed with spice and vitality, appealing enormously to the audience of the day. 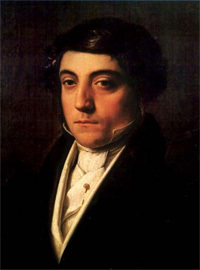 In 1815 Rossini became music director of the opera house at Naples and there met his first wife, at that time the mistress of the impresario Domenico Barbaia. The terms of his employment required him to provide two operas a year; not a man to be daunted by a challenge, Rossini fulfilled his obligations, m some cases by borrowing material from his own earlier operas. Now in full swing, in 1816 he composed music for Il barbiere di Siiviglia (The Barber of Seville), whose famous overture he had used twice before. The legend of the barber had already been successfully set by Paisiello, and Rossini's misgivings about repeating the feat appeared to be borne out when his own version met with a muted reception. Since then, however, the delightful comic plot and brilliantly fashioned music have won almost universal approval and made it one of the best loved of all operas. La Cenerentola from the following year is based on the Cinderella fairy tale and shares with Il barbiere the Rossini trademarks of a large-scale finale with elaborate build-up, and the use of "patter-songs" - in which words are sung very fast for comic effect. In his later operas, such as Semiramide and Mose in Egitto, Rossini turned to more dramatic subjects and forms. Despite their huge success, he was only 37 when in 1829 he composed his last opera. 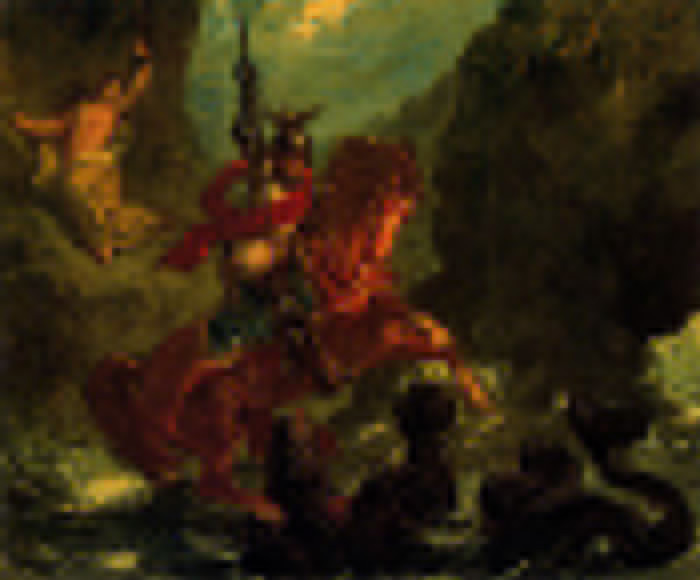 Guillaume Tell (William Tell), the story of a Swiss hero who rebels against Austrian rule. After its premiere. Rossini worked at the Bologna Conservatoire before settling in Paris to indulge his second love in life, food; indeed he became famous for his gastro-nomical gifts, bequeathing to the world the fillet steak dish Tournedos Rossini. Rossini was widowed in 1843 and married his long-standing mistress, Olympe Pehssier. His days of prolific composition for the theatre were over, but he did not entirely renounce music. In 1864 his Petite messe solennelle (Little Solemn Mass) was performed, followed by what would be his final work, Peches de vieillesse (Sins of Old Age), a collection of songs and piano pieces written over a period often years. He completed them in 1868, the year of his death, and the same year that saw confirmation of his greatness as an opera composer with the five-hundredth performance of Guillaume Tell. Aria of Corinna from "Il Viaggio a Rheims"
Aria of Matilda from "Willgelm Tell"
Aria of Matilda (II) from "Willgelm Tell"
Aria of Elizabeth from "Elizabeth, the Queen of England"
Aria of Corinna (I) from "Il Viaggio a Rheims"
Aria of Corinna (II) from "Il Viaggio a Rheims"
Duet of Corinna and Belfiore (I) from "Il Viaggio a Rheims"
Duet of Corinna and Belfiore (II) from "Il Viaggio a Rheims"